Setting aside the African Growth and Opportunity Act (AGOA) will have dire consequences, members of Parliament heard on Thursday. Department of Trade and Industry (dti) Director General Lionel October was sharing developments on trade relations between SA and the US with the portfolio committee on trade and industry. The South African Poultry Association (SAPA) has brought forward a court application to have the entire AGOA agreement set aside, arguing that the US reneged on the agreement. This is in context of meetings between the dti and the US regarding AGOA, as SA has lost out on its benefits since the US imposed a 25% tariff on steel imports plus a 10% tariff on aluminium imports. This was despite SA making compromises allowing over 60 000 tonnes of poultry imports from the US, said October. But October said the policy had always been to extend the AGOA agreement. "We had to make compromises, as you have to when dealing with trade relationships. You need to compromise and compromise." October said the department had put forward to the US that its steel exports were no threat to the US economy as they were less than 5%. "We can’t understand why they would punish us while allowing Argentina and Brazil to export [to them]." He said SA would make its case, but that confrontation will be avoided, as the benefits of AGOA outweighed the drawbacks. "We will all be losers if we lose AGOA." October said the department would explain the importance of AGOA to the court hearing the matter related to the poultry association. Overall, SA reported a trade surplus of R68bn in terms of world trade for 2017, up from R34bn in 2016. This was due to the end of drought conditions in most parts of the country that year, a weak domestic currency, increased demand from world markets and improved commodity prices. 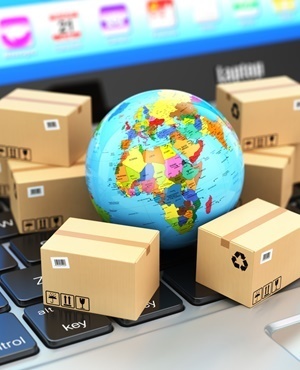 Trade with Africa remains positive, and SA signed off on the African Continental Free Trade Area agreement to promote intra-African trade - especially as trade wars are imminent in the West. Trade with Brics members, however, is slightly imbalanced, October explained. SA mainly exports raw materials and then imports manufactured products. He said SA needed to look at diversification of its export basket. He stressed that agreements with Brics and AGOA were essential to driving growth because domestic demand was so low. "On balance, these things are good for us because [they expand] our markets. We need these agreements," he said.